The moment I set my foot in lands where jasmine blooms, I find a flower to smell–a single blossom, a sprig, a garland. I think that I know exactly what jasmine smells like, but every soil makes for a different scent. Jasmine in Provence has an apricot nuance. Indian jasmine smells leathery. Spanish jasmine has a cinnamon inflection in the afternoon and a simmering musky warmth in the evening. Indonesian jasmine is green and sweet, the most unexpected combination. Smelling Hermès’s Cèdre Sambac, I wonder where the perfumer Christine Nagel found an inspiration for such a creamy yet transparent impression. Nagel says that the inspiration for the five new Hermessences came from the Middle East. 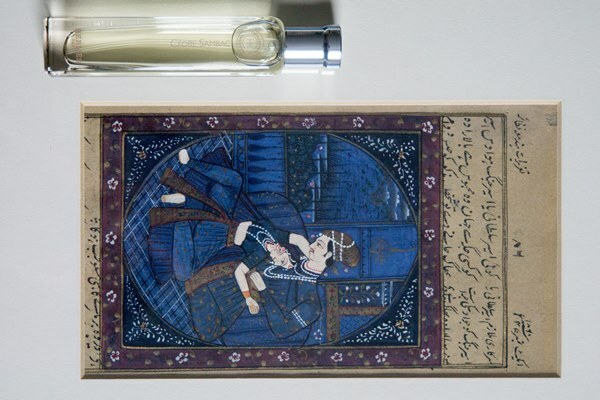 Jasmine attars from that part of the world have a certain richness that can be either opulent or smothering, depending on the attar-blender’s skill and the perfume lover’s capacity for jasmine. Cèdre Sambac, however, is all glow. I’m mad about the scent of jasmine–well, that’s not news for the readers of Bois de Jasmin, I suppose, but I don’t want a perfume that “smells of jasmine.” Because while it’s possible to capture the scent of blooming jasmine with all of the tools of modern technology, disconnected from its setting, the scent never feels quite right. Where is the green freshness of stem and crushed leaves? Where is the deafening bustle of an Indian flower market? Where is the delicious languor of an evening stroll through the Andalusian gardens? So, Cèdre Sambac don’t give us a photograph of a jasmine flower. It gives the whole story. At first, as I apply the perfume, it smells of soft jasmine petals edged with green. As it warms up, it turns creamier and sweeter, but the luminous impression of the top notes doesn’t lessen. If anything, the fragrance only becomes more radiant as it reaches the elegant accord of woods and musk. The composition is almost linear in structure, but it’s so polished that Cèdre Sambac doesn’t give the impression of simplicity. The nuances that flash under all of its jasmine–the honeyed warmth of cedarwood, the spicy murmur of gardenia, the tangy bitterness of green tea–create depth and keep the tension. Nagel is known for her skill in creating fragrance that cling to the skin seductively, and Cèdre Sambac is a perfect illustration of the magic she can craft. 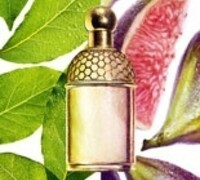 It’s also a comfortable perfume to wear, enveloping and tender. It lasts for several hours on me, not vanishing but losing its intensity gradually over time, but it stays long enough to keep me riveted. Hermès Agar Ebène, Cèdre Sambac and Myrrhe Églantine are available in the Eau de Toilette, while Cardamusc and Musc Pallida are in the oil-based Essence de Parfum. The fragrances are available in a coffret. Victoria: As long as you like it, it’s all that matters. Victoria: I also expected it to be a rich floral oriental, but it surprised me. I like the creamy but green jasmine in this perfume. Very unusual. Emilie: Cuir d’Ange which was a real surprise for me! I have always been a floral girl but this soft, buttery leather has me hooked. Hana: I’ll have to try this! I used to visit my family in Aleppo every summer, and the scent of the jasmine there is still the most beautiful thing I’ve ever smelled. Of course, at this point I’m probably developed an emotional attachment to it- it reminds me of my childhood. Victoria: To be honest, I doubt that this perfume would be it. No perfume ever will, because your memory is very personal and specific, and the chances of finding that exact replica are nil. It’s like looking for an identical fingerprint. The most you can find are the fragments, illusions. Aurora: Thank you so much for reviewing Hermes new offerings. You don’t mention that it is indolic so it’s definitely a jasmine I might consider.